1. a person who seeks by contemplation and self-surrender to obtain unity with or absorption into the Deity or the absolute, or who believes in the spiritual apprehension of truths that are beyond the intellect. 2. concerned with the soul or the spirit, rather than with material things. Yoga is more than stretching or physically exercising, and I wanted to reflect that in the studio name. Yoga is the union of the individual with universal consciousness. We are all one, and at Mystic Moonlight Yoga, I think we are each, by definition, a mystic. We appreciate the beauty in the nature that surrounds us, whether that means getting excited about gazing at the moon and stars, stopping to smell a flower on a hike or making friends with all creatures big and small. We know that yoga is an inward journey where we continuously learn about and improve upon ourselves while connecting with others. 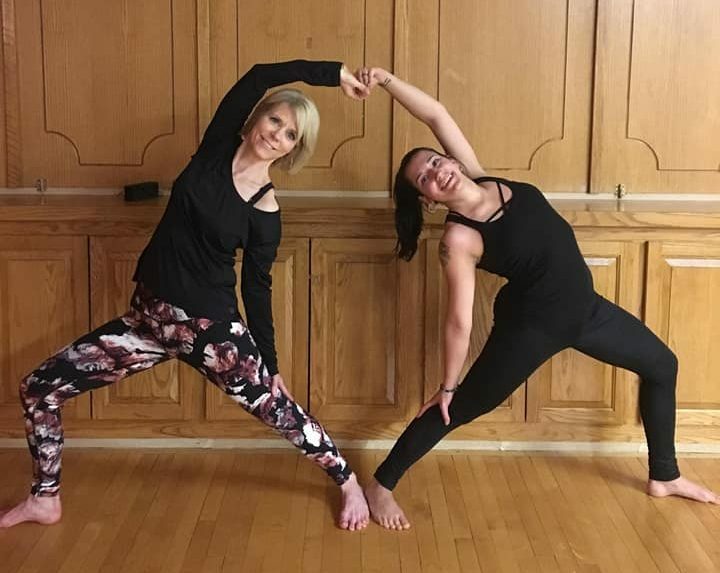 Mystic Moonlight Yoga is an independently owned yoga studio in Somerset, Pennsylvania. Our teachers are educated and experienced and are dedicated to helping students reach their goals. We believe that yoga is for everyone and welcome anybody to our classes, regardless of age, gender or fitness level! If you’re not flexible, that will come with time, and that’s one more reason to join us for class. Yoga is a journey, not a destination, and we all start somewhere on this journey to improving our lives through movement, breath work and mindfulness. With regular class attendance, you’re likely to see an improvement in mobility, physical strength, inner peace, stress relief, better sleep and an overall sense of well being. Our studio is small and has a laid back, relaxing atmosphere. The air is naturally purified with Himalayan salt lamps, and we diffuse DoTerra essential oils during class for aroma-therapeutic benefits. Foam blocks and straps are also available for any students to use during class for added support and stability or to enhance your practice. We are located inside the Glades Court Mall at 101 West Main Street, Somerset. New to our yoga studio? We’re so glad you’ve decided to join us! Please read the following guidelines and keep them in mind as you prepare for your first class. Arrive 5-10 minutes prior to class start time to sign in, pay for class, and get situated. You’ll also need fill out a short waiver and registration form if it’s your first class. Remove your shoes at the door–please help keep our floor clean. Bring a yoga mat if you have one. If not, we have extra mats at the studio to borrow free of charge. Be kind to and respectful of your fellow yogis. If you’re running a little bit late, please enter the room quietly and start right in. We’ll take care of business after class. Keep your phone silent and put away during class. Inform your teacher of any injuries before class starts. Yoga is best on an empty stomach, so try not to eat within one hour of class start time for your comfort/health. Always stay until the end of class if possible. Savasana is one of the best and most beneficial parts of class! Have something to add? We love reading your reviews! Head over to our Facebook page and let us know how we’re doing. Laid back atmosphere with a great instructor! Alex is knowledgeable and professional, and her class is good for a range of people. She offers different variations on poses, so there is something for every one! I can’t say enough great things about this place. It’s awesome that there is a practice like this in our little town of Somerset. You’ve helped me push past my limits and get more out of myself these past several weeks than I thought was possible. If someone had told me five years ago that I would be practicing yoga I would have said, “No way!” Today, I can’t imagine my life without it. Alex has presence and versatility. She spots her students’ needs or abilities and can adjust on the fly. She works and feels the room and makes adjustments as needed. God is in the details. But most importantly she has fun with us. You should come!